Links | Cascade Timber Consulting, Inc. Up-to-date weather readings in Sweet Home, Oregon. To serve the people of Oregon by protecting, managing, and promoting stewardship of Oregon's forests to enhance environmental, economic, and community sustainability. 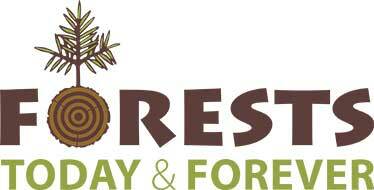 Forests Today & Forever promotes forest stewardship through education. Our programs for youth & adults are experiential, using working tree farms & other managed forests in Lane & Linn counties. Our Extension Agents and Specialists work everyday to learn about the latest techniques in natural resource management, and then, through educational programs and materials. Oregon State University's College of Forestry has been educating professionals for a century. We've earned a reputation as a world-class center of teaching & learning about forests & related resources. We work to give people the tools they need to be effective stewards of America's forests. Privately owned woodlands are vital to our country's clean water and air, wildlife habitat, recreational activities, and producing the jobs, wood, and paper products we all need. 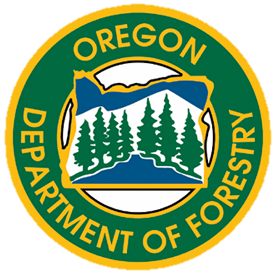 The Oregon Forest & Industries Council (OFIC) is a trade association representing more than 50 Oregon forestland owners and forest products manufacturers. 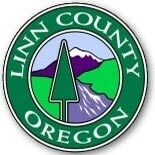 In 1893, Sweet Home became an incorporated city in Linn County, Oregon. A toll gate was built a few miles east of town, charging travelers to cross over the Cascade Range. As recently as 1878, Sweet Home consisted of only four square blocks, totaling 32 lots. The South Santiam Watershed Council (SSWC) is a non-profit 501(c)3 organization representing a broad range of stakeholders who live, work, and recreate in the South Santiam Watershed. Linn County is dedicated to serving the needs of the public. This site contains meeting calendars, agendas, office contact information, regulations, maps and air photos, as well as email addresses for the Commissioners. The Linn County Sheriffâ€™s Office provides patrol services, detectives, corrections services, civil services, 9-1-1 emergency services, and emergency management for the citizens of Linn County. While there has been significant loss of habitat within the Calapooia Watershed, many natural features that historically promoted high fish and wildlife productivity are still intact. In addition to timber harvesting in the upper watershed, the watershed has been drained and used extensively for grass seed farming. A non-profit organization serving the Oregon land surveying profession through continuing education and outreach, while promoting high standards of practice and ethical conduct, holding paramount the interests of the public. Oregon Women in Timber is a state-wide, non-profit organization dedicated to creating awareness of the importance of forests, trees and wood products in our daily lives. We strive to inform ourselves and others of the importance of sustainable forests to our environment and our economy. Forest Seedling Network is a marketplace that connects independent buyers and sellers.